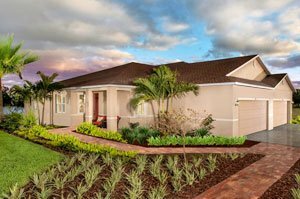 SARASOTA, FLORIDA, February 21, 2018 – Oak Harbour, a new home community in Punta Gorda got a welcome marketing boost recently as the city adopted a new brand for itself—Florida’s Harborside Hometown—a tagline that jibes perfectly with this residential project of national builder KB Homes. Besides this new neighborhood, KB also has notably established its footprint in the Punta Gorda subdivision of Tuscany Isles and in Stoneybrook at Venice, a vibrant destination for south Sarasota homes for sale. The city council approved Florida’s Harborside Hometown as Punta Gorda’s new brand, logo and tagline in October last year. A campaign is currently ongoing for the implementation of a strategic communication plan for this branding effort designed to strengthen the city’s market appeal to aspiring new residents and business locators. Punta Gorda’s new brand is the result of a year-long, city-commissioned study by St. Petersburg-based Aqua Marketing & Communication which re-examined the economic development identity of the city. Amongst the weightier inputs to the whole exercise were the results of a survey of the city’s key stakeholders including relocating businesses and residents as well as previous city visitors. Auspiciously, Punta Gorda’s new brand identity campaign has several current events upon which it can latch on. One is a recent study which ranked the city as seventh amongst the safest cities in Florida. This ranking, which reaffirmed results of similar studies earlier, was conducted this time by the National Council for Home Safety and Security. Another recent development which complements Punta Gorda’s brand-building campaign is the completion of the first phase of the Peace River Botanical & Sculpture Gardens in October last year. 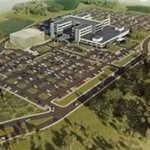 Its world-class setup already has 11 of its total 27 acres completed along the serene banks of the Peace River. On display here are sculptures done by international artists and beautiful botanicals, and it hosts traveling exhibitions as well. Also last October, a new pickleball complex broke ground at Florida Southwestern State College campus west of the Punta Gorda Airport. Once completed, this will offer 32 outdoor courts built to specifications of the USA Pickleball Association. It will also have covered bleachers for spectators, concession with covered courtyard, plus a covered picnic area. The project’s second phase calls for the addition of a 40,000-square-foot building for eight indoor sanctioned air-conditioned courts. It will also house a pro shop with the latest pickleball equipment, a bar and restaurant, fitness facilities, and a conference center available for community events. Notably, this pickleball complex is just a short distance north of the KB Homes community of Tuscany Isles. Homes for sale in this neighborhood can start from the $100s for a maintenance-free villas having a floor plan of about 1,300 square feet designed with two bedrooms and two baths. The amenities in Tuscany Isles include a heated community pool, a beautiful lake and walking path. Living is as desirable at KB Homes’ Oak Harbour which flaunts wooded home sites of up to three-fourths of an acre in size. Private, with a gated entrance and covered pavilion, this community has no CDD fees. Home pricing here is in the $200s‒$300s range for residences with floor plans of 2,128‒2,620 square feet featuring three bedrooms and a strong affinity with the new Punta Gorda brand as Florida’s Harborside Hometown.